October 30. 1998-US Air Force directs termination of the SR-71 program. Go to this link for previous history and latest News on the shutdown of the Blackbird. LANGLEY AIR FORCE BASE, Va. (ACCNS) – The legendary SR-71 Blackbird, a pioneer in reconnaissance aircraft, will be permanently retired from Air Force operations. 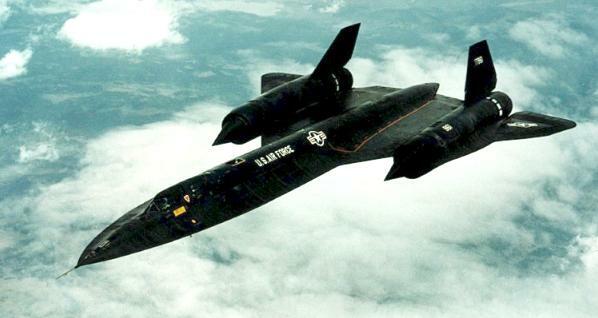 The Air Force currently owns six SR-71 reconnaissance aircraft. Two SR-71A operational models were brought back to active duty in 1995 at the direction of Congress; two, including the SR-71B trainer model, are on loan to NASA for their high-altitude testing program; and two remain in returnable storage. The Air Force is currently planning for final disposition of the airframes and associated material. Some of the SR-71 reconnaissance systems will be transferred to the U-2 and other programs. Some equipment will be transferred to NASA to support its program. While in the Air Force inventory, the SR-71 set numerous world high-altitude and speed records. On July 28, 1976, an SR-71 flew 2,194 mph to set both the world absolute and class speed records over a 15- to 25-kilometer straight course. That same day, another SR-71 flew to 85,069 feet setting the record for sustained horizontal. WASHINGTON — Operations and maintenance of the SR-71 spy plane and research into a military space plane were among items vetoed by President Bill Clinton in a Defense Department spending bill Tuesday, the White House said. “THERE IS NO MILITARY requirement to continue to operate the SR-71,” it said in a statement detailing projects affected by Clinton’s exercise of his line-item veto authority. BRASILIA (Reuters) - President Clinton used his new line-item veto authority Tuesday for the third time, scratching a Cold-War era spy plane, a futuristic asteroid interceptor and other projects worth $144 million. Clinton struck a total of 13 projects from a $248 billion Defense Department spending bill. The president said neither he nor the Pentagon had asked for them and that he wanted to demonstrate his resolve to holding the line on spending. "These are the items for which we don't really have a military requirement," Deputy Defense Secretary John Hamre told a news briefing in Washington, referring to all of the vetoed items. 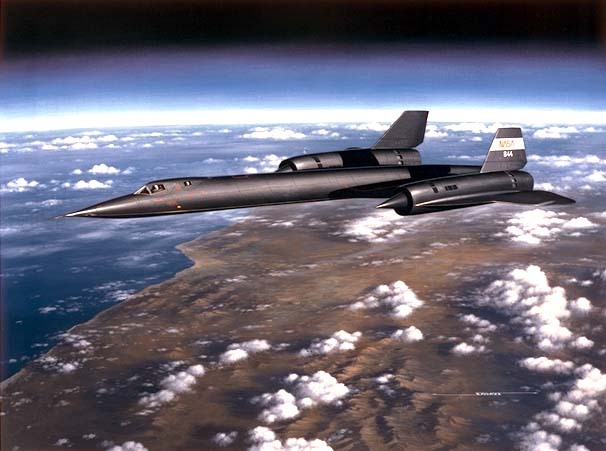 Among the projects hit by the veto included the SR-71 Blackbird spy plane, a supersonic, high-altitude jet that was developed in the 1960s and retired by the Air Force in 1990, but revived by Congressional supporters in 1995. The fleet of three planes has been used lately mostly for research, and helped locate a crashed U.S. warplane in Colorado last April. The programs recommended for elimination were approved by White House Chief of Staff Erskine Bowles and other top White House officials after they met with representatives of the Pentagon, the National Security Council and the Office of Management and Budget on Monday. The list was then sent to Clinton, who is traveling in South America this week. Tuesday’s decision, announced by Clinton marks a clear step back from the more confrontational use of the line-item veto last week on a military construction bill. In that much smaller $9.2 billion measure, Clinton struck 38 items worth $287 million. The cuts sparked angry outbursts from Republicans and Democrats who said Clinton was abusing his newly acquired power. After a seven years absence from Northern California, the SR-71 Blackbird made a thunderous return to Beale AFB on Saturday Sept. 20, 1997. The SR-71 performed a high altitude flight; a number of low passes and then placed on static display for the airshow. Helping celebrate the 50th Anniversary of the Air Force and "50 Years of Air Force Reconnaissance" this most intriguing aircraft performed and was on static display at Beale AFB, Sept 20, 1997. Flying at more than three times the speed of sound (2,000 mph plus) and at altitudes greater the 80,000 feet (15 miles), the SR-71 still hold the distinction of being the world’s fastest highest flying aircraft. The aircraft flew from New York to London in less than 2 hours and set a cross country record of 68 minutes, 17 seconds when it flew from Oxnard, Calif. to Salisbury, Md. in 1990. The SR-71 was retired in Jan 1990 and brought back under Congressional direction in 1995. A small fleet, two operational A-models and a B-model trainer, were returned to active duty. I was at Beale today, Sep 20 1997. At 12 noon the SR-71 made a high speed, high altitude fly-over the base, releasing fuel every few seconds to allow us on the ground to see the flight progress. The fly-over caused a sonic boom to be heard about 30 seconds later. At around 12:15pm, the Blackbird made three low level fly-bys before landing and parking for display. The plane looked great and sounded even better.